Students have just done an introduction to conditions in early 19th century towns. They have looked at the major health problems and approached some of the scientific, economic and political reasons why little was done to improve these conditions before 1848. They were now ready to look at the work of Edwin Chadwick. This time I wanted to make sure that students understood the motivation which drove Chadwick's recommendations, which were underpinned by a desire to cut the cost of looking after the sick and the poor. So the ideal starting point was to begin in the 1830s and look at how previous governments had tried to cut the cost of the welfare. 2. 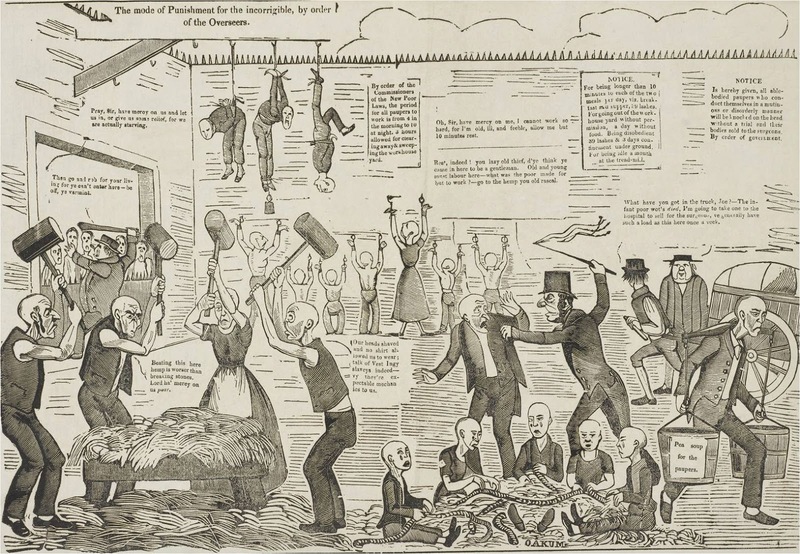 Students were then asked to use their skills at working with evidence to analyse this fascinating contemporary cartoon on the workhouses. I asked students to focus firstly on what it suggested about conditions in workhouses and secondly what it revealed about early 19th century attitudes towards the poor. 3. The source naturally provoked discussion about the types of work done in the workhouse. At this point, we watched the following clip from the popular 'Worst Jobs In History' series. 4. 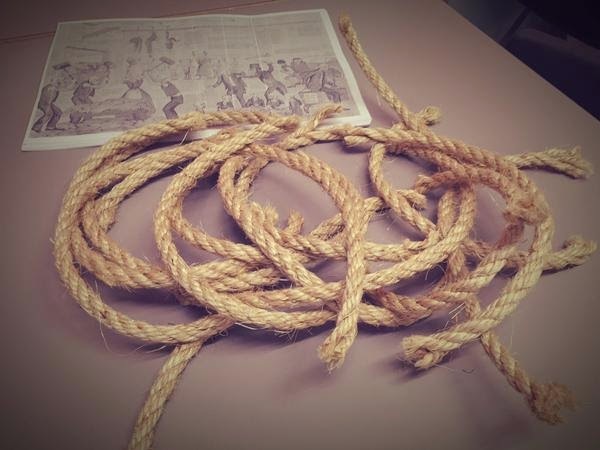 Students were then presented with short lengths of rope and asked to do five minutes of oakum picking. I patrolled the room as the overseer, doing a bit of "quality control"! 5. At the end, I awarded a prize to the class champion oakum picker! This lesson has laid the groundwork for students in understanding Victorian attitudes towards the poor and the desire to save the rate-payers' money where possible by reducing the benefit "burden". With this foundation in place, I'm going to take my students on to look at the work of Chadwick and how he tried to reduce the cost of looking after the sick and poor through recommending public health measures. For many students, one of the biggest hurdles standing in the way of success is simply grappling with the sheer amount of content knowledge required. 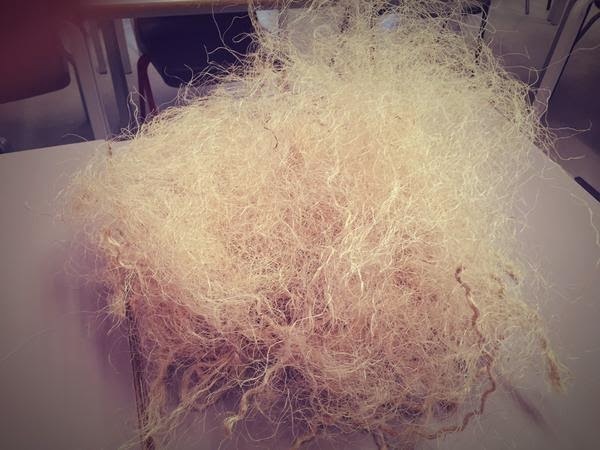 I try to take every opportunity I can to find a way of embedding this content in their minds, specifically through active learning and engagement which appeals to all the senses and makes learning stick more firmly. My Year 9s have just begun their study of Medicine Through Time. The first stages of the course will feel like a distant memory when they finally come to sit the exam. At this point, we're looking at prehistoric medicine, making inferences based on aboriginal medicine. To bring this to life, I staged an aboriginal medical ceremony with my students. This was a good excuse to rummage around the History Department props cupboard and dig out the leopard print and the quartz crystal. In the video below, you can see how we got on. This half term, I’m going to work with my Year 7 class on historical significance. As a starting point, I’ve been revisiting Partington’s criteria for measuring historical significance and thinking about how they might be meaningfully applied by twelve year olds. As a result, I’ve developed the chart below which I hope the students will be able to use to measure the significance of the Norman invasion. The possibilities for this approach go much further though. There is ample scope to use it to measure and compare the significance of different events in the past, key individuals and discoveries. It could even be used to measure and compare the significance of an individual or event at different points in history – perhaps somebody like Alfred the Great, whose perceived significance has varied over time.